With every season there is a trend and for every trend there is a fan! I am one of those! Two winters ago it was apparent that birds were the ‘it’ pattern to have on everything then last season we saw owls take over. I have been, loved, bought, and drooled over both seasons and this winter has been no different with Stag Heads everywhere! 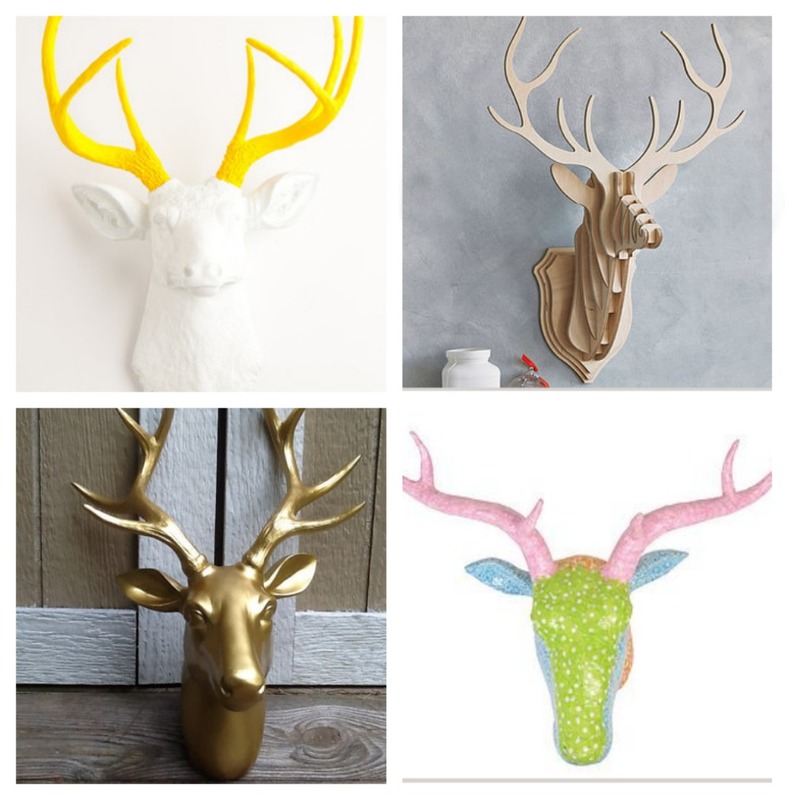 These four beautiful stag head options above are just the tip of the iceberg of what’s on offer at the moment for revamping your home for winter! I have just recently redecorated my living room (room tour to come I promise) and I can promise there will be a few stag heads present. 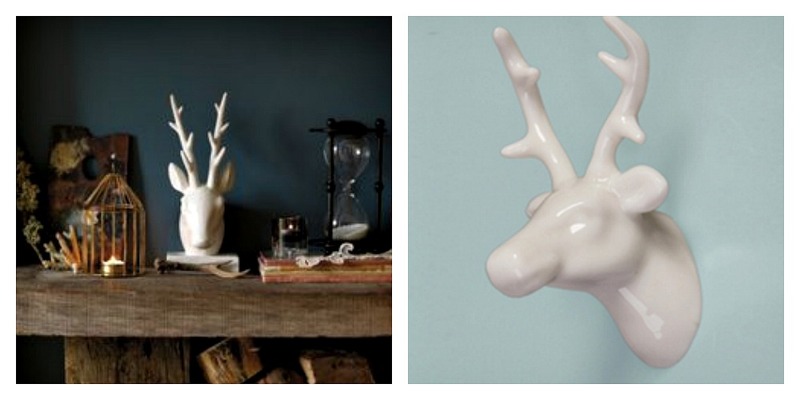 If huge room focusing stag heads aren’t your thing, you can still incorporate mini stag heads throughout your home. This first one on the left is perfect for any fireplace, shelf, or bookcase in any room. I have mine on a print shelf in the living room among some gorgeous artwork. Stay tuned. Or why not go even smaller with this stunning white glossy stag head magnet. Both will add flare to any style of home and at a low cost. These are my most favorite stag head home accessories. I wish I had enough wall space and rooms to fill them with these vibrant bunch. The first yellow stag head print is actually going up on my living room wall when it arrives! I can’t wait. 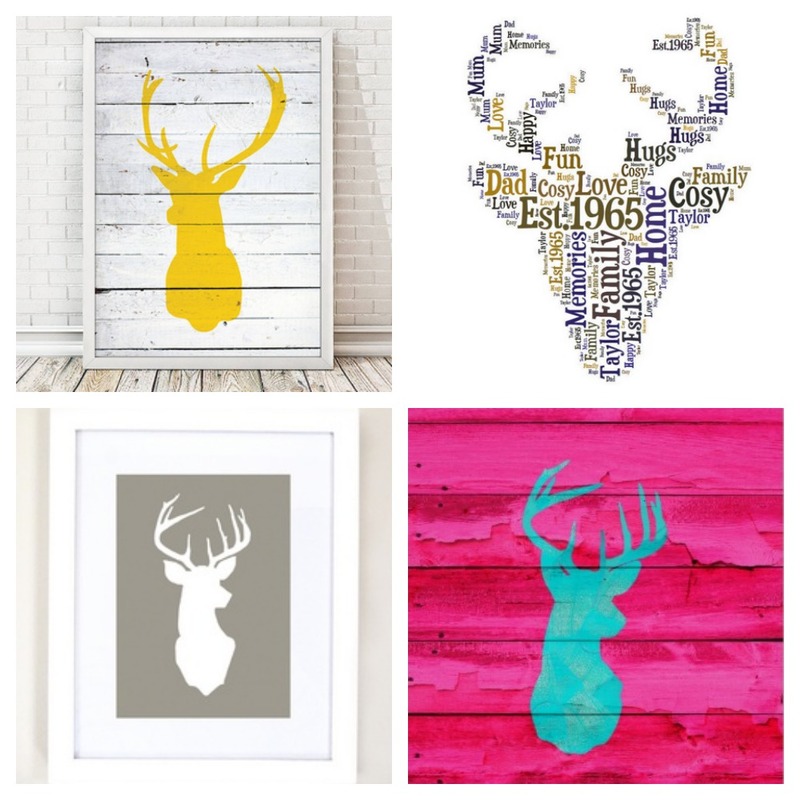 There is so many options out there for stag head prints but these are just a few that have caught my eye this season. These days its very trendy to have all sorts of miss matched throw pillows all over your house whether you have them thrown on antique chairs in the corner, piled high for a reading nook, or just tossed on your sofa. When I am decorating with pillows and wanting them to still look coordinating but miss matched at the same time I always make sure I have a few different sizes and shapes but maybe similar colors throughout. For example, I have numerous stripes, chevrons, dotted pillows in my living room all in various pastel colors. 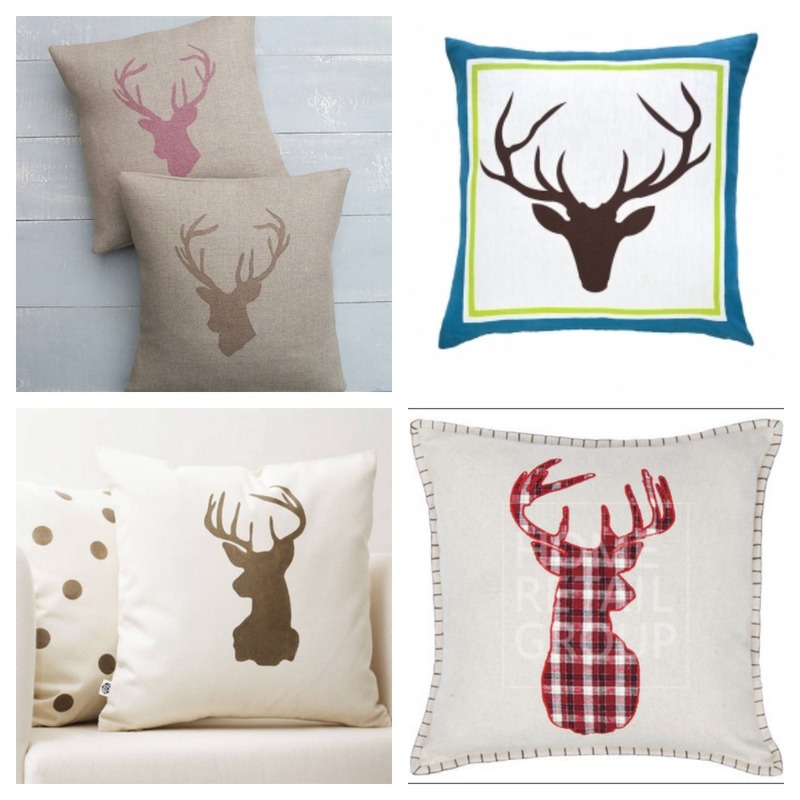 I might choose a stag head throw pillow that had two or three of those colors in it to match. Put it next to a pillow with a few words on it and really make it pop. Since we are leading up to Christmas its the perfect time to grab a few Christmas stag head pillows on Etsy! There are so many to choose from click on my sidebar and check it out! What do you thing of this seasons’ trending Stag Heads? Do you have any in your home? That’s fantastic. Way to go you too fit decoupaging. Bet it looks amazing. That’s so funny it seems we have so much of the same taste in everything! Great minds think alike. Would love to see your print in your living room. I am still debating the yellow print for my new living room or go vibrant with the pink one???? Decisions decisions. I love this idea! Totally fitting for the Northwest where I live! I’m sure you could use other animals as well, but this works perfect for the antlers. Yes so true Nicole. I have a few stags already in my house. Got to keep a little bit of home here. Thanks for commenting.